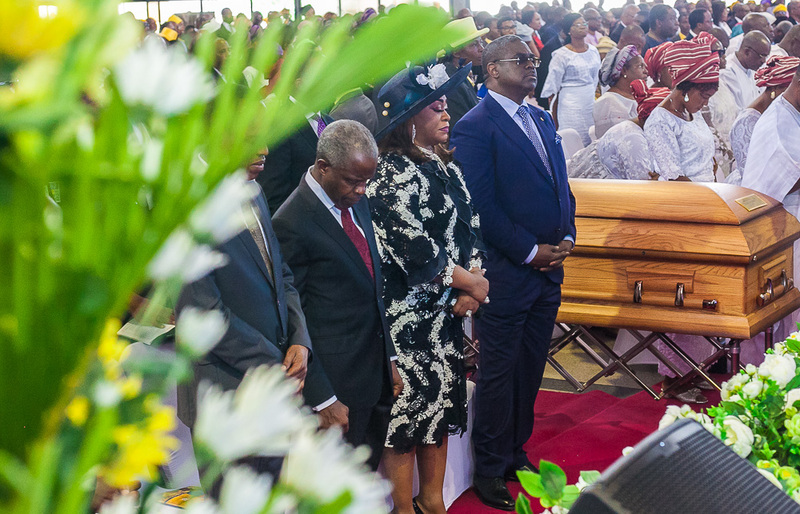 Vice President Yemi Osinbajo, the Governor-elect of Lagos State, Babajide Sanwo-Olu and other paid their last respect as Pastor E.A Adeboye’s secretary Pastor Adetokunbo Olorunnimbe was laid to rest following a burial service at the City of David Sanctuary, Redeemed Christian Church of God (RCCG), Victoria Island, Lagos. Late Mr Olorunnimbe was the Chief-of-Staff and Chief Private Secretary, to the General Overseer, RCCG, Pastor Enoch Adeboye. The man of God died on March 30, at the age of 60. In an exhortation, Pastor Ezekiel Odeyemi, Assistant General Overseer in charge of Training and Education, said Mr Olorunnimbe loved humour and left a lot of laughter behind. In a tribute, wife of the deceased, Modupe Olorunnimbe, described her late husband as honest, humble, diligent, patient, generous and considerate. She said her husband ran a good race, was fulfilled and ready to meet his creator.